Everyone has heard the old real estate adage location, location, location. The point being that location is of prime importance when buying a piece of real estate. We know that this is slightly more complex when you have your whole family's needs to take into consideration. When considering real estate Louisville you are likely looking for a house near shopping, hospitals, medical facilities, restaurants and entertainment. Our new listing finds itself located near all these things. 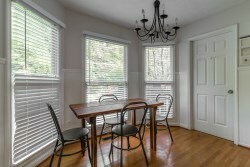 4112 Woods View Pl is near the Gene Snyder which makes it also just minutes to downtown, the airport, and major freeways. 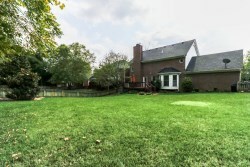 But while near so many great things this 4 bedroom, 3.5 bathroom, 3,108 Sq Ft home is tucked away in a quiet neighborhood. This multi-level home features harwood floors including new wood floors on the second level, lots of natural light, and a neutral paint scheme perfect for moving in. 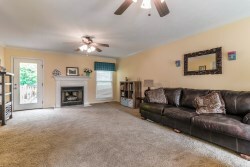 The first floor has a large great room with fire place, a formal dining room, and an eat-in kitchen. 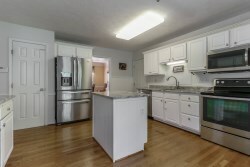 The kitchen features new granite counter tops, an island, breakfast nook, and stainless steel appliances. 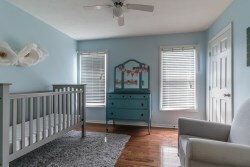 Trey ceilings and crown molding are also features of some of the first floor rooms. A launrdry room and half bath complete the first floor. 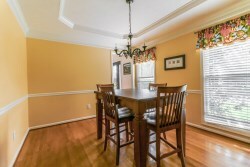 The second level has four bedrooms and two baths. 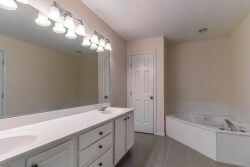 The large master suite has a great sized ensuit bathroom with his and her vanity, whirlpool sub, and shower. 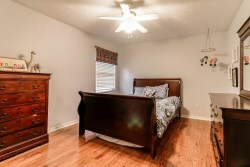 The other three bedrooms are good sizes and a full bath completes this great second floor. The backyard can be accessed from the great room on the first floor. 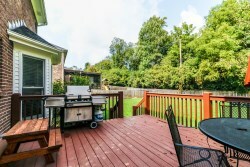 Upon exiting the great room you step out onto a very comfortably sized deck perfect for grilling with guests. The back yard is large enough for the kiddos to have plenty space to play, but easy enough to maintain. A wooden fence and a line of trees give the backyard some privacy. The basement of this home is also a great feature. It has a living room, full bathroom, storage, and another room which could be both an office or another bedroom. If you are interested in viewing this home or have any further questions please contact Scott Boehnlein of Family Realty.